Description: Paleokastritsa is the most famous and probably most picturesque beach resort of the island. Huge, green cliffs surround the coast and many sea caves can be visited by boat around Paleokastritsa. Description: One of the most popular and beautiful beaches of the island, Glyfada is west of Corfu Town. The large surface of fine sand is surrounded by tree-covered cliffs. Description: The wide beach of Kalami is composed by smooth flat stones. The water is clean and the natural surrounding is lush green. Delicious fish taverns dot the coast. Description: Agios Stefanos was a small fishing village but over the last years it has grown as a popular tourist resort with many facilities. Its long sandy beach attracts many visitors. Description: The beach of Agios Georgios Argyradon has developed over the last years with many hotels and taverns. It has a long golden sand and clean water. Description: Dassia is a long, pebbled beach on the north of the capital. In sumer, it is full of tourists and there are large hotel complexes all along the shore. Description: Arillas is a long sandy beach on the north west of the island. It is located between two small peninsulas that protect it from the winds. Description: Agios Ioannis Peristeron is a fine beach on the southern side of the island. 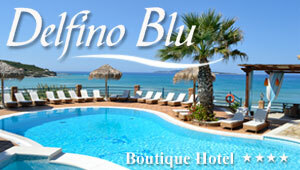 Pretty far from the popular resorts of Corfu, this is a great place for families. Description: The beach itself sits in a bay but there are no tourist facilities, like sunbeds and umbrella. Nearby you will find a local tavern. Description: Kavos beach is the most popular resort in southern Corfu and a busy place with tourists who hang out at the beach from the early morning until the late hours. Description: The beautiful beach of Pelekas is located on the western side of the island and it is surrounded by huge, green cliffs. The water is refreshing and the coast has soft sand.